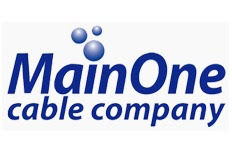 MainOne Cable Company has launched its Point of Presence (PoP) in Ikeja, Lagos, Nigeria. The PoP, which is located at Kudirat Abiola way in Ikeja, would enable customers get better services. The Chief Executive Officer, MainOne Cable Company, Funke Opeke, said “Main One’s Global Internet Access provides businesses with direct access to internet, backed by its revolutionary subsea cable system and relationships with Global Tier 1 networks. For businesses, this translates to faster, secure, cost effective and more reliable transmission, close to zero down-time and greater productivity”. Opeke added “The current global trend sees most firms leveraging outsourced connectivity and hosting solutions, we offer a state-of-the-Art facility for customers who require collocation to compliment its world class, unrivaled high speed communications solutions from Africa to the rest of the world”. Opeke pointed out that their network is engineered to global standards and is managed by team of highly trained technical experts, who work 24*7*365, backed by SLAs, and guaranteed with service credits to ensure optimum reliability of service. She noted that their bandwidth is available as fixed, variable or burstable bandwidth starting from 10MB up to 1Gigabyte, while adding that the company offers capacity either as an IP service subscription, Pay As You Grow (PAYG), Indefeasible Right of Use (IRU) purchase or International Private Lease Circuit (IPLC). The Managing Director, NGCOM, Ekeng E. Ekeng, attested that MainOne Cable Company is offering services which can not be compared to other providers. According to him, “Since we started using MainOne Cable Company, I can sleep with confidence, knowing that they would deliver promptly”. Other attesters are Channels Television, Starcomms, VDT, ipNX, Swift Networks, and Galaxy backbone amongst many others.